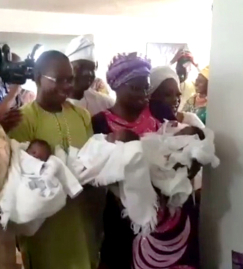 Joy filled the home of a Nigerian couple based in the United State, Mr. and Mrs Wale, as they welcomed a set of triplets after 20 years of marriage with no children. 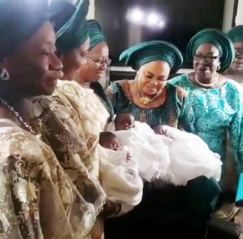 To mark the blessing, Bunmi Ojo Adenuga took to her Instagram page to celebrate her sister-in-law, alongside posting a video from the dedication ceremony. She said God has once again shown his faithfulness, and he is indeed on the throne. He hasn’t forgotten anybody and does things at his own time. Bunmi concluded by praying for the needs of people who seek and believe God for their desires. It is indeed a big celebration as the family thanked God for His blessings.